It just occurred to me that I haven't shot anything sports related in almost 3 months. I finally had the opportunity to go up to New Britain and see the Binghamton Mets play against the New Britain Rock Cats. The vast majority of Met fans are calling for the Mets to bring up Michael Conforto to the Major League Club - Conforto is arguably the best pure hitter in the system, and is doing very well at Double-A. 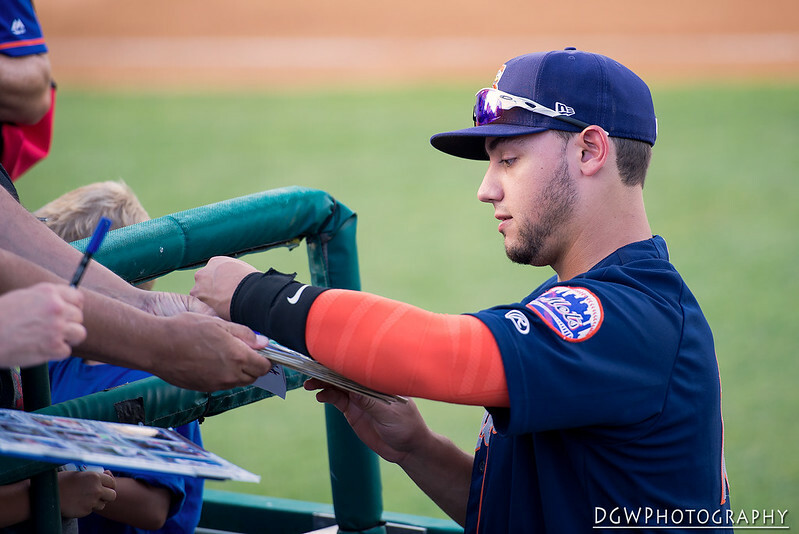 With Michael Cuddyer hurting, and expected to land on the DL, the hope is that Conforto is called up to fill his spot. 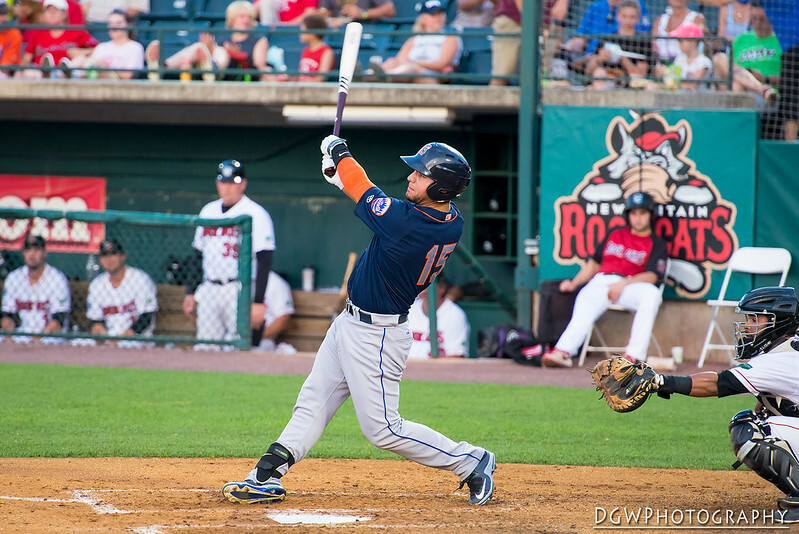 Conforto went 1 for 3 with an RBI and a run scored in Binghamton's 3-2 victory over New Britain Monday night. Even his outs were well-hit, driving the center fielder to the wall each time.